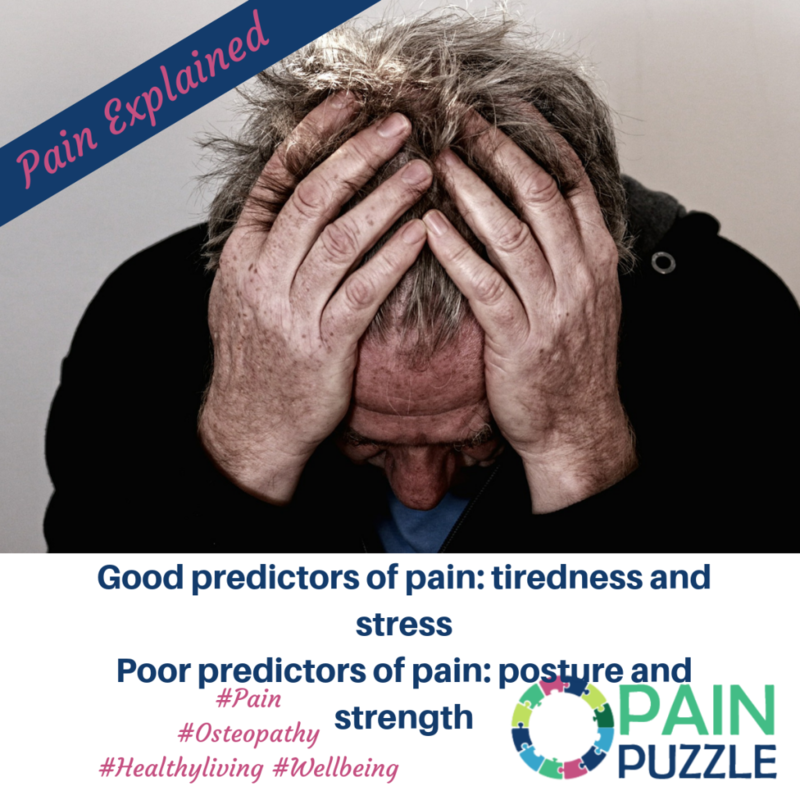 The best predictors of a pain episode are stress and tiredness. Posture and muscle conditioning are not good predictors of people that will experience pain. Being tall is not a risk factor for pain. Pain does not occur because you are weak, stiff or inflexible.